The sad news broke early this morning that Christopher Hitchens, the celebrated, provocative and brilliant journalist/essayist, has passed away at the age of 62 following a battle for the past year and a half with cancer of the esophagus. 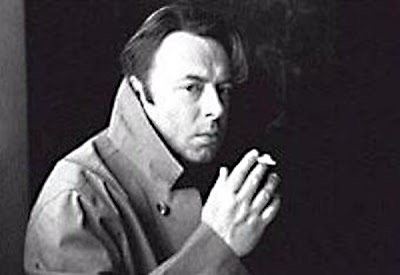 Even when I disagreed with Hitchens - and those times were numerous - I had to have grudging respect for the man, because it can't be said that he lacked consistency. He was one of the rare writers in this day and age who strove in his craft not for sake of political or ideological favor, but instead for nothing more or less than understanding of the human condition and its derivative culture. Here is Hitchens' final essay for Vanity Fair, appearing in next month's issue. In it he wrestles with thoughts of his own mortality and determination of spirit. To be blunt: I am very disappointed with a lot of you. Yes, Christopher Hitchens was an avowed atheist. But even so: I'm not going to judge the man. And neither should anyone else. Yeah that means YOU too! What is it about Christianity that seems to bring out the smugness and arrogance in some people? Especially when the choice to follow Christ at all is supposed to stem from an acknowledgement that we ourselves are not worthy of being in His kingdom... nay, of being anywhere within His sight, even! Yet God loves us so and through Christ has adopted us into His realm. That should be cause enough for joy unceasing. And yet there are far too many Christians for whom that is not enough. For them, Heaven isn't sweet unless they know with absolute certainty that there is at least one poor miserable soul roasting in Hell for eternity. Based on what I've been seeing around the Intertubes since this morning, that particular soul of the day is Christopher Hitchens. I honestly don't know who to feel more sorry for: a man who wrote that he did not believe in God, or a person who claims belief in God while literally gloating that someone else chose to be separated from that very God for all time. I am in no position to judge the soul of Christopher Hitchens. But I can assert that based on what I have read of him and found in his writings, that he was an individual who not only struggled with the idea of God, but perhaps had more reasons than most to endure that struggle at all. That he chose to be open and even brazen about it does not befit one who is necessarily comfortable with the notion of there being no God. Rather it seems more that Hitchens was searching for a rationale for God's existence. And indeed, in recent months he had even begun to question his atheism within his essays. And we should be thankful that the matter of our own salvation is not dependent upon the understanding of other men! Because in the end, Christopher Hitchens was a frail man who did not possess fulness of wisdom and understanding. He was a person who was imperfect and had fallen short of the glory of God. I liked how you put to bed the idea of a judging Christain who finds non positive words to the loss of Hitchens. I'm also a believer who is in love with God but also interested in the atheist argument. Hitchens was real with his beliefs and yet open to new ideas. If I could only read the words written by Hitchens as he saw the face of our creator. I worship and follow a loving God. A God how wants real people not fake. Hitchens was real in is struggles with a loving and personal God. I can't help but to think that God appreciated Hitchens struggles.